Do you want to know more about how popular gambling is in Melbourne? Recent studies have shown that around four in five Australians regularly enjoy a flutter whether this is on the horses, in casinos or simply on the lottery. With such a high demand for gambling services, the big cities need to offer services to cater for the public appetite for a wager. In this guide, we take a look at the gambling scene in Melbourne including local legislation, the venues where you can get involved with sports and race betting as well as entertainment venues like casinos, bingo halls and places to play poker. Governed by the Victorian Commission for Gambling and Liquor Regulation, gambling in Melbourne is legal for players over the age of 18. This applies to all forms of gaming for money including lotteries, sports and race betting, casinos and bingo halls. Some casinos in Australia operate higher minimum age limits. You can find out more about Melbourne’s casino, The Crown, in the section below. Gambling is big in Melbourne but there is only one casino. Image via Crown Casino. The update of the Interactive Gambling Act 2001 (IGA) in September 2017 has banned offshore casino operators from offering online services within Australia. In practice this legislation bans services from being offered but places no penalty on those who use these illegal sites. In theory, if players can access an offshore, online casino, as long as they are 18, they can use the service. As in most of Australia’s state capitals, Melbourne enjoys a diverse entertainment scene which includes gambling in various forms including sports and race betting facilities in race venues, sports bars, bingo halls and even in one of the largest casinos in the world. The city also has several racetracks where punters can enjoy live action horse and greyhound racing. Melbourne plays host to the country’s most prestigious annual horse race, The Melbourne Cup. A 3.2km thoroughbred meet with a purse of $6.2 million, the ‘race that stops a nation’ has been held in the city every year since 1861. Televised since 1960, the event is a national holiday in Melbourne and attracts over 100,000 racegoers. This unique race is thought to attract bets from over 80% of the nation in addition to the estimated $183 million in bets placed by visiting tourists. Dunaden and Fiorente: 2013 Melbourne Cup. Image via Wikimedia. The latest report on gambling statistics for Australia reveal that Victoria is the second largest spender for gambling with annual expenditure exceeding $5.7 billion, accounting for 25% of the country’s total wagering spend. New South Wales tops this statistic with a total spend of $8.9 billon. Of this figure, 86% of the spend is on gaming activities which includes electronic gaming machines, pools, lotteries, bingo, Keno and casino games. Just 9% of the state’s annual wagering expenditures is spent on race betting with the remainder being attributed to sports betting. Per capita, the average spend on gambling each year in Victoria is $1,250, the country’s 3rd highest and about average. The highest annual spend per capita on gambling is in the Northern Territories where the average person spends $6,543 each year on gambling. 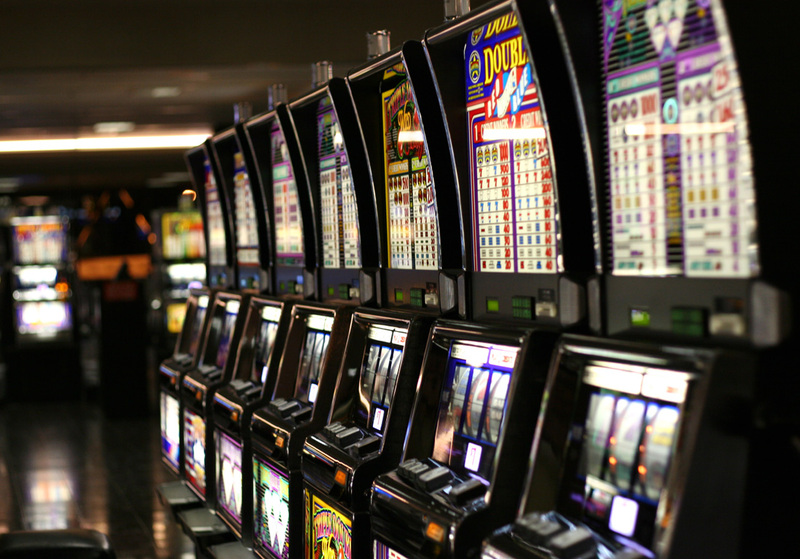 Pokies remain a popular way to gamble and, since being legalised in 1991, a total of 28,860 electronic gambling machines (EGTs) have been installed in Victoria. With a population of 3.848 million people and the largest city in the state of Victoria, Melbourne contributes much of the annual revenue for gambling in the above statistics. The city enjoys a huge number of ways to gamble including online, in social bars and clubs as well as at dedicated facilities. Australia has yet to catch up with the shift in the global casino market from America to the Asia-Pacific region and Victoria has just once licensed casino operator. Originally opening in 1994 and relocating across the Yarra River in 1997, the Crown is Melbourne’s only casino. Covering a total area of 510,000 sq. m, the entire complex is one of the largest of its kind in the world and the largest in the Southern hemisphere. The jewel in Melbourne’s crown is the riverside casino. Image via website. The Crown runs a regular schedule of gaming events and features more than 50 poker table as well as other popular casino table games. In addition, the Crown is home to some of Australia’s biggest cash poker tournaments. As well as electronic gaming machines (or ‘pokies’), you can also play Blackjack, Caribbean Stud, Baccarat, Craps, Roulette, Sic Bo, Pai Gow and Nutz. The Crown has a New Games Lab on the first floor where players can learn how to play fresh games. With the exception of Christmas Day, Anzac Day and Good Friday (closed from 4.00am to 12.00pm), the casino is open 24 hours a day, seven days a week. Racing is a great way to enjoy gambling and visiting the venue itself can provide a good day’s entertainment whether you walk away with winnings or not. Melbourne has several horse and greyhound racing tracks, many holding some of the country’s most prestigious racing events. Horseracing in Australia dates back to the first colonies and thoroughbred racing is the third most popular spectator sport in the country. The first official races were held in Melbourne in 1838, just three years after the city was founded; now, that’s getting your priorities straight! Originally opening in 1840, Flemington Racecourse has a capacity of 120,000 spectators and is home to the Melbourne Cup event. This iconic event is the richest handicap race in Australia and is the jewel in the crown of the spring Melbourne Cup Festival. Flemington also hosts a programme of racing throughout the year with 23 racedays. The course has excellent TAB facilities on site for all their events. ‘Super Saturday’ – Flemington is one of Australia’s premier horse racing courses. Image via Flickr. Known as ‘The Heath’, Caulfield hosts around 20 racedays each year including the Blue Diamond Stakes, Caulfield Guineas and the Oakleigh Plate. Situated just 8km from Melbourne’s CBD, Caulfield is home to the Melbourne Racing Club and was originally opened in 1853. The course has had several refurbishments over the last 150 years including a full track re-turf in 2005. You can find the usual bookmaker facilities at Caulfield Park in addition to bar, lounge and dining areas. Opening in March 1962, Sandown Racecourse is located about 25km to the south east of the city and is the only racecourse to be built in a metropolitan area in the 20th century. The course has had several name changes over the last few years being renamed in 2008 to Sportingbet Park, William Hill Park in 2015 and is now known as Ladbrokes Park. The racecourse hosts quite a lot of raceday events during the year including the Sandown Carnival held in November each year. There are full TAB facilities on site. Moonee Valley is around 4km from Melbourne Zoo in the north of the city and runs a regular programme of racing throughout the year. Originally opening in 1883, ‘the Valley’ is home to the richest weight-for-age race in Australia, the W.S. Cox Plate. Other meets of note include the Manikato Stakes, William Reid Stakes and the Jayco Crystal Mile. Shortly due to be relocated, this is the last chance to experience the historic tradition of Moonee Valley racecourse. Image via Flickr. The racecourse is currently undergoing a major redevelopment which is set to create a new stadium and allow the existing land to be redeveloped for community use. Phase one of the project is due to start in 2018. Until the development impacts on racing you can enjoy racedays with full TAB facilities. Don’t forget to get a tour of the historical site before it closes. You can book a raceday tour at 7.30pm for $5. Just 45 minutes to the south of the city, Morningon Racecourse has been voted Victoria’s favourite racecourse for three years. A friendly venue, you can enjoy dining facilities on site in addition the usual TAB amenities. The club holds ‘Clop Clop’ days which are suited for families and include free rides, amusements and kids activities. The racecourse has a new grandstand and offers great dining as well as bar and lounge areas in addition to corporate and event planning services. Australia is one of only eight countries in the world where greyhound racing is still legal; the other countries being the UK, Ireland, USA, Vietnam, China, Mexico and New Zealand. There are two main race tracks in Melbourne where you can catch the dogs in action. The greyhound racing course in Springvale is a stone’s throw from the Sandown horse racing track. Experience the thrill of live dog racing at Sandown’s greyhound track. Image via website. Racing takes place on Thursday nights (from 7.00pm) and Sunday afternoons (from 2.00pm) with plenty of variety in circuits and prices. Events include the Sandown Melbourne Cup – a high prize, greyhound version of the legendary horse race. Entrance to all race meetings is free. Full TAB facilities are offered on site along with regular bookmakers. The Meadows hosts racing every Wednesday evening and during the day on Saturdays. The racecourse is about 20km directly north of the city and holds regular events including the Silvef Chief Classic and the Sky Australian Cup. Race night dining is available on site as well as bar and TAB facilities. Lottery games are the most popular way for Australians to gamble and Melbourne’s residents are no different to the rest of the country in their appetite for a life changing jackpot. The majority of game play is via the National Australian Lottery where draws are held regularly throughout the week offering big cash prizes. Run by the Tattersalls Group (the only government licensed lottery provider in the country), the Official Lottery website has full details of prize breakdowns and how to play. You can play the Lotto online or via official retailers. Image via website. Super Jackpot & Mega Jackpot (Any Day): Over $4 million and $5 million respectively. You can buy tickets for the lottery via official outlets or online. Victoria also has an additional daily draw lottery run by Intralot called Lucky Keno; the jackpot for a Spot 10 is a fixed $2 million. You can buy instant win scratch cards that are offered by both Tatts as well as Intralot. Keno is very popular in Melbourne and you can find a venue using the official Keno website. There are 92 places in and around the city where you can join in the fun with this high-prize, lottery like instant win game. In addition to the 50 tables at the Crown Casino, there are many poker events being held in Melbourne throughout the week. Poker events are run regularly across the city. Image via Flickr. You can find full details of upcoming events via the Poker Nights website with the following venues regularly holding tournaments in the city. St Albans Bingo Centre is a friendly place with some nice cash prizes. Image via website. Opened in 1994, the St Albans Bingo Centre runs games every day of the week with cash prizes up to $5000 in some evening sessions. They also run a Big Bucks Bingo Flyer for a chance to win up to $100,000 on Monday and Wednesday Nights and during the day on Thursday, Friday and Sunday. Members can opt in to a loyalty scheme where points can be collected for every game played and exchanged for prizes in the loyalty cabinet. Fawkner has been operating since 1987 and holds regular and special bingo games throughout the week. A friendly venue with a canteen on site you can expect big cash prizes and rolling jackpots. Fawkner also has a bingo centre in Croydon at 335a Dorset Rd, Croydon VIC 3136. The Melbourne bingo hall is open six days and seven nights a week. The Crown Casino is licensed to provide 2500 electronic gaming machines with 27,500 other machines licensed in Victoria. EGMs are popular in Melbourne and there are plenty of them to enjoy around the city. Image via Wikimedia. There are dozens of TAB facilities offered in sports bars across the city including social clubs where you can enjoy the facilities as a member or in public bars and hotels. The Sports Bar at The Golden Fleece has TAB facilities. Image via website.